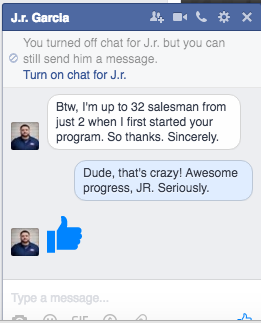 The average price point for EACH of my individual programs or systems is between $2500. If you are a business owner looking for multiple systems or the “whole shebang,” consider the All-Inclusive Package which includes every single program and system I currently have to offer at a very significant discount. Not sure what you need or want to discuss other options? If you are ready to pull the trigger, OR you’re not quite sure what program or system might be best suited for your specific needs, it is best to schedule a time with Becca 1-on-1 to discuss your current goals and challenges to find the best fit. If you would also like to discuss other available enrollment options that are not listed below, email becca@roofsalesmastery.com or visit www.timetrade.com/book/CCNTC to schedule a time to chat and we’ll get you taken care of. This self-study, go-at-your-own-pace program is completely online and offers a MASSIVE library with hundreds of videos, word for word scripts, lessons, tutorials, and examples for everything from Lead Generation, Closing, & Handling Objections to Supplementing, Adjuster Negotiations, Overhead and Profit, as well as a private forum for Q&A, advice, and help. This is my #1 selling course and the return on investment is nearly instantaneous. This online course is stacked with video tutorials teaching you how to master Xactimate software specifically for use as a storm restoration contractor. You’ll learn everything from the most basic survival skills up to using the sketch tool, time saving macro templates, importing photos and Eagleviews directly into your estimates, where to find definitions in Xactware to overcome adjusters’ objections, how to build an O&P coversheet opening statement, and more. This turn-key repeatable training system will allow you to train your new, green recruits into fully sufficient salesmen in 3-5 days in a classroom setting, ZERO ridealong training necessary. Reduce your turnover and increase your salesmen’s productivity by developing legitimate salesmen with this program and eliminate time wasting, ineffective ridealongs. Includes training scripts, training manuals, and a trainer’s guide. This turn-key recruiting system provides you the tools necessary to replace the ineffective Craigslist ad or money-gobbling Monster listing with a system that generates 20-50 applicants within the first 7-10 days, including the word-for-word hiring ad, the interview script that prevents overselling the job or scaring people off with “commissions” and “door knocking” talk, a recruiting schedule, recommended pay structure, incoming and outgoing phone scripts, and a list of places to advertise so you can stop wasting time and money on Career Builder ads and turn the trickle of 1-2 applicants per month into a tidal wave of potential recruits, and then funnel them into The New Hires Training in a batch. You’ve hired people and trained them….now the hard part starts, which is keeping them around, keeping them motivated, holding them accountable. If all you’ve ever done is say “knock more doors” and dangle money in front of your salesmen to get them to work, you’re missing the boat. This program offers TANGIBLE tools and strategies to manage your sales team, including sophisticated compensation structures, bonuses, contests and incentives, 17 pre-written sales meetings, how to break down each individual salesperson’s income goal to the number of doors they need to knock each week, how to motivate your team and hold them accountable without feeling like a slave driver, and more. The Accelerator is a complementary self-study component to brand new salesmen’s training after they go through the New Hires seminar. This gives them succinct, bare necessities “survival skills” training online so they can study the most crucial parts of the sales and door knocking processes to ensure they have a strong start after launching. The Accelerator provides “Roof Sales 101” at the click of a button for additional study at home and in the field for the newbies. This is also a great tool when circumstances don’t allow for someone to start the New Hires program right away due to management’s time restraints. Consider this a “fast food” version of training in a pinch. Whether you’re a newbie or a salty vet, this 65 page quick read is packed with gold nuggets on all the necessary fundamental sales skills. I recommend making this eBook required reading for any new people you hire before they come into training, as it achieves two important things: 1) Helps them understand their value and role in the claim process, and 2) Gets them excited about the income opportunity through a third party story. New recruits will show up to training confident and eager to get started after reading this book. As much as I would love to be able to answer your questions personally through phone, email, or text, I am only one human being! The forum is where you have access to myself and the hundreds of other members of my programs nationwide any time you need help, have a question, get stumped, need advice, or are just curious about how others do things. We discuss everything from supplements, to hiring, to assignment of benefits, to appraisal, softwares and technologies, and more in the forum. Below are more in-depth descriptions of each of the included programs in this package. for different situations. For example, you won’t say the same thing at the door today if the storm happened yesterday compared to if it happened 9 months ago. You shouldn’t say the same thing at the door today if you’re the 10th person to knock there compared to if you’re the 1st person. The more dialed in your door knocking approaches are, the better your results will be and the fewer doors you’ll have to knock. to get referrals on the spot without paying hundreds of dollars for them, OR leaving behind business cards and hoping people will remember you and recommend you later. Use my approaches to get names and numbers on the spot and drastically reduce (or eliminate) your door knocking. How to get into leads with multi-property potential, like landlords, property managers, real estate agents, insurance agents, etc. What would it be like to get a property manager who puts you on 25 properties today? What websites are best for essentially free SEO and Google power when it comes to choosing where you have your customers leave reviews. Are you making mistakes without even knowing it? Most salesmen are. We cover the biggest mistakes, do’s, and don’ts when it comes to setting up inspections so you can get better results with less time and energy. I teach you WHY certain objections come up as well as how to handle them word for word when they do. Things like, “Can’t you just leave me a bid?” “I’d like to talk to my agent first.” “Let me talk it over with my husband,” can all be prevented and/or overcome with the right explanation. I teach you exactly what to do and say during the close when it comes to objection-handling to increase your closing ratio. Dealing with "The Bid Collector"
If you are running into homeowners that are dead set on collecting bids, I’ve got the perfect script to help you re-educate and close them. Eliminating the bid request is as simple as explaining depreciation in a simple and no-brainer way. This fool-proof close will get you out of the bidding war games and get the contingency signed on the spot. You should never have to “eat” a deductible, even if you’re in the shark tank of DFW! Members following my lessons on how to handle the deductible-eating request have great success overcoming it. I show you the best way to explain how it works to the customer so you aren’t feeling forced to give away your profits (or commit insurance fraud). When you run into a customer who already has paperwork and a check in hand, they often don’t want to “show you their cards,” somehow believing that if you know what they’re getting paid on their claim, you will take advantage of them. This usually gets you stuck in a bidding situation. My bulletproof close is a simple way to help customers understand how insurance companies pay, and eliminates you needing to write a bid. You will leave with a signed contingency in hand even with some of the toughest customers using this strategy. Take advantage of every possible opportunity to increase your claim by offering upgrades and upsells to the customers’ already incredible insurance “coupon.” I teach you how to add voluntary and retail upgrades to their claims via my “Wish List” technique. This list (which continues to grow every month) includes well over 100+ creative and outside the box supplemental items for your typical roof, siding, gutter, and interior claim. This is not your basic “ridge/starter, flashings, steep charge, ice and water shield” BS. These are items that most contractors have never even THOUGHT to include simply because they never knew they EXISTED. Things like a generator, scissor lift, custom bent metal, harnesses, cornice returns, OSHA project manager supervision hours, and LOADS more. Get larger supplements with fewer adjuster objections using this list. Now that you know WHAT to ask for, you must know HOW to ask for it. I teach you my word for word email supplement approach script which is a short opening statement/paragraph that you will use every single time you send a supplement in. It introduces the request in a way that makes it sound like the insurance carrier asked you to send it, getting one foot in the door before they even read the request. Remember, supplementing is really a CLOSING process with the adjuster. How you ask for it is often more important than what you ask for. Adjusters are always going to give you objections like, “That’s included in the waste,” “That’s included in the price per square,” “That’s a cost of doing business,” “It’s our policy not to pay for xyz,” because it is their JOB! We teach you exactly what to say when an adjuster gives you an objection. “If this, then that.” If an adjuster says X, you say Z/include this photo/use this documentation/have your customer send in this letter/etc.” until you get what you want, or get most of your supplement approved and move on to the next one. STOP playing the catch 22 “number of trades vs. complexity” game and use a strategy that works. O&P in a policy simply states that “O&P is warranted when it is reasonably likely that the insured might hire a general contractor to coordinate repairs.” That’s it. We give you 2 word for word “letters from the homeowner” that your customer will send in to get better results on O&P as it is owed to them in their policy. Playing the "Insurance Commissioner Card"
Tired of getting stonewalled by the big bad insurance companies like Allstate and State Farm? Sometimes it feels like David vs. Goliath, and we have discovered some very effective techniques to deal with the seemingly impossible rejection and stonewalling games they play, including a technique called “Playing the Insurance Commissioner Card.” A simple email with a few key phrases often results in getting your full estimate paid to the penny within 24 hours. 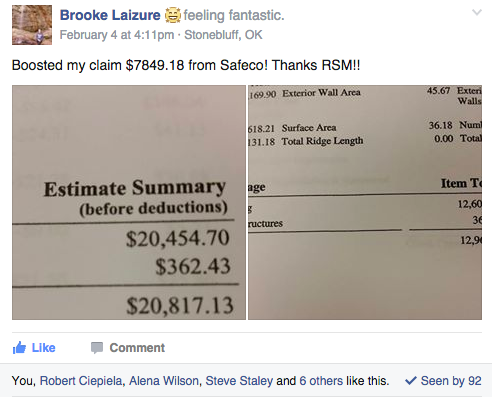 Ultimately by following the Roof Sales Mastery supplement strategies, you will increase your average claim size by $2,500 or more (we have some individuals whose average supplements following my system are between $5,300-7,100. No joke). Remember that even if you think you know it all (wink), if you learn just ONE new thing that even adds a measly $300 to every single job this year and you do 100 jobs, that’s an additional $30,000 in pure profit. Don’t take my word for it – you can easily check reviews from other contractors all over the country who are sharing their tangible and quantifiable results using this system. You will make more money. The end. The Xactimate Mastery course will show you how to use the software when it comes to supplementing and estimating, teaching you everything you need to know and nothing you don't specifically as a storm restoration contractor. You'll learn advanced macros which will cut estimating time in half - including 90+ pre-written, ready to use macro templates for all sorts of projects, using the sketching tool, estimating commercial, interior, and mitigation, importing photos and Eagleviews directly into your estimates, how to build an O&P cover sheet inside Xactimate, where to find and use key phrases, language, and definitions to overcome adjusters' objections on specific line items, and all our favorite "hacks" that make your paperwork look just like adjusters'. First and foremost, quickly master the absolute basic fundamentals of using Xactimate to write professional estimates and supplements by following the simple to follow, step by step online tutorials to master “Xactimate for Dummies.” If you’re not tech savvy, you’re brand new to Xactimate, or the software is slowing you down, these lessons will help you quickly graduate the most basic and necessary skills for writing basic estimates. Learn how to use the Xactimate sketch tool to draw up diagrams for roofs, siding, and interior. Adjusters are always banking on your ignorance when it comes to Xactimate and line items, and your biggest handicap will always be that you don’t know what you don’t know. For example, you might ask for harnesses, and the adjuster might say, “Oh, well we already paid steep charges on this and that’s included.” ….. What are YOU going to say? Most people have no idea. In this course we teach you where to find specific language and definitions in Xactware to help you easily overcome adjusters’ objections when they bank on you simply not knowing. Literally cut your estimating time in HALF using macro templates. Instead of building each estimate or supplement one line item at a time which takes 30-40 minutes for the average project, we provide 90 pre-written ready to use macros templates which are 1-click bulk-add features for specific projects. 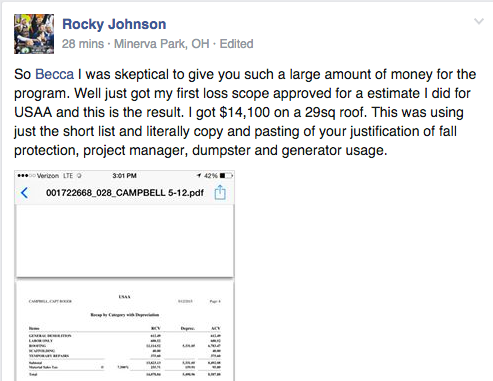 One click and BAM – complete estimate, done. Just edit measurements. We teach you how to use the more “expert” level components of the software such as how to import photos and Eagleviews directly into your estimates instead of dealing with dozens of individual email attachments, how to use the sketch tool, how to build an O&P coversheet and opening statement within your estimate, how to make “notes” under your line items for things like codes, and more. Enjoy additional bonus content and resources such as bonus tips on estimating commercial, mitigation, and interior jobs. Q&A and help is at your fingertips from Alena Wilson, who created the course as 1 of only 19 certified Xactimate trainers in the nation. Utilize the private, members only Facebook forum, so when you’re stuck, you can quickly post a question to get help from the creator herself and/or the other members who are utilizing the training. Eliminate ineffective and time-consuming ridealong training and increase your retention rate with this turnkey, repeatable training system for green newbies. The New Hires Training system will have your new recruits launched as fully prepared and competent salespeople within 3-5 days with all the basic and crucial fundamentals mastered so they can hit the ground running and not burn through leads, eat up a ton of your time, or worse: quit prematurely. This system is ready for you to deliver in a matter of days (no memorization required – just review it and deliver it) so you can train a group of new hires in a batch in a few days instead of being forced to take 1 person by the hand for a few weeks and hope and pray that they figure it out afterward. 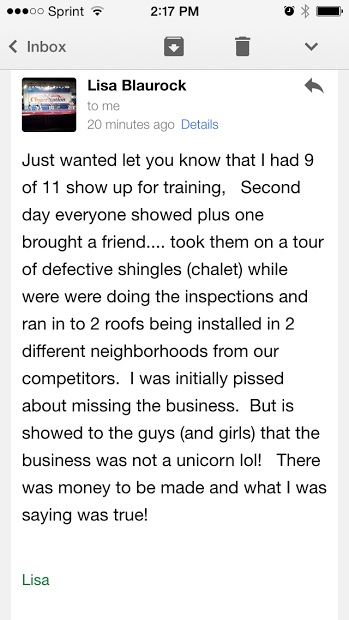 Make Training a "Piece of Cake"
Selling roofs is NOT hard. Truly, anybody can do it. It’s simple! But it’s as simple as baking a cake. 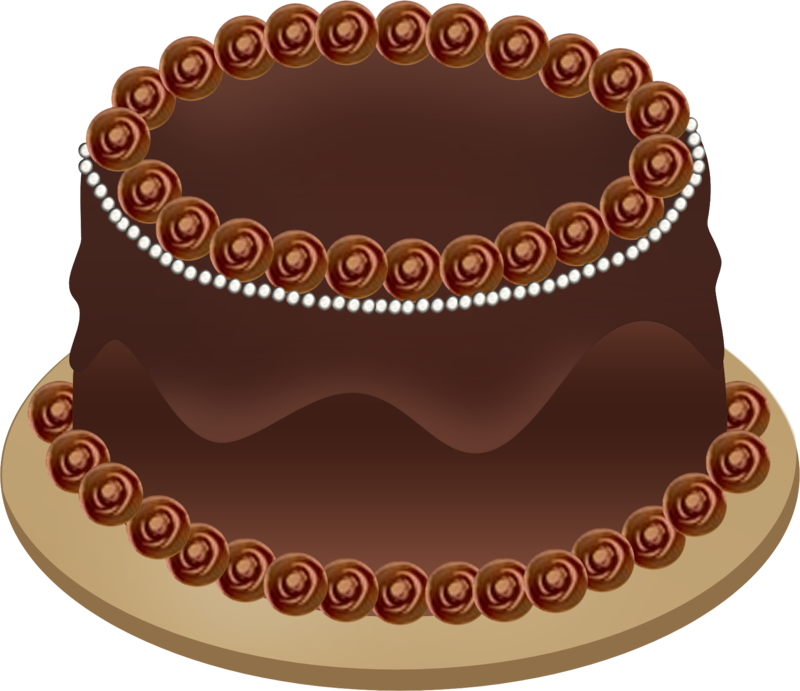 Most people know that flour, sugar, oil, and eggs go into a cake, but if that’s all the information they have and you ask them to bake a cake from scratch on the spot, EVERYONE would fail, and they would fail over and over and over again, wasting ingredients and eventually quitting. But this isn’t because baking a cake is HARD – they just need a RECIPE. If they had a legitimate recipe from the get go, anyone can make you a cake right the first time, and they can make it right over and over again from that point forward. Roof sales can be exactly the same. The salesman turnover rate in this industry is about 90%. It’s horrible! This abysmal retention rate is due to the ineffective and lack of TRAINING. If people are quickly and effectively trained, they will succeed in this business and stick around. If not, they will give up and go somewhere else. Implementing a time-efficient, effective, and REPEATABLE training system in your company will allow you to eliminate the ridealong training (which doesn’t work and is a waste of time), ensure everyone in your organization is on the same page so your customers are getting a consistent experience, and drastically improve your salesman retention rate so you can develop and KEEP a productive sales team. The Training Script. This is the curriculum itself that YOU as the trainer will be delivering to your class of newbies, just like a teacher would deliver a lecture. This course is not something where you stick your trainees in front of a computer and hit play on a bunch of videos. This is a structured interactive training system that YOU will deliver. The script is divided into Day 1, Day 2, Day 3, and Followup Training 1 and 2. Your recruits will be fully trained and launched in 3-5 days, and I guarantee you they will be more prepared than if you had taken them by the hand for 4 weeks and had them “watch and listen” to you. Days 1-3 take roughly 4-4.5 hours to complete, and Followups 1-2 take roughly 90 minutes. Training Manuals. Everybody in your training class will need their own training manual to follow along in. 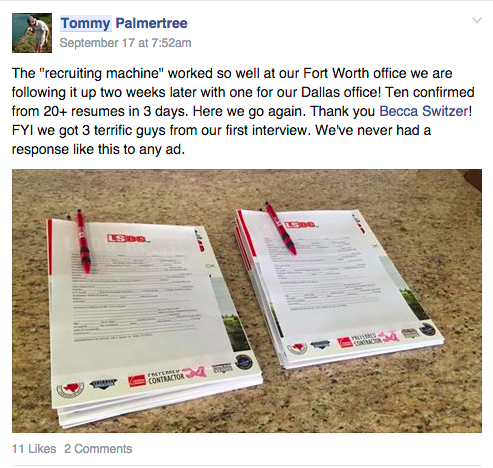 Be sure to print enough to satisfy your personal recruiting goals. This is their storm restoration sales training Bible. They will study, practice, memorize, and role-play out of the manual. They will learn their word-for-word door knocking approach, how to handle the 3 most common objections at the door, the word-for-word sales presentation and close, how to read and understand insurance paperwork, terms and definitions (ACV, RCV, depreciation, deductible), what is and isn’t hail and wind damage, do’s and dont’s on adjuster meetings, how to do a proper inspection, basic roof/siding/gutter components, time management, appointment setting do’s and don’ts, etc. Essentially they will learn everything they need and nothing they don’t to be fully functioning on their own in 3-5 days as a salesperson. [You will receive a printing license for the Training Manuals to print them yourselves at your local printer). Trainer’s Guide. The final piece of the puzzle is the trainer’s guide. This is a manual to train you as the trainer. This is crucial, because DOING sales successfully and TEACHING sales successfully are two completely different things. You could be the best salesperson in the state, and the worst sales trainer. This occurs commonly because as an experienced salesperson, you are so far beyond the basic fundamentals that it is impossible for you to teach them. This guide will help you deliver the best possible training to your new hires, not put the cart before the horse, avoid information-dumping and overloading, and ensure you know exactly what you’re doing as their trainer. Stop Trying to "Find the Right People"
In the past, you may have tried focusing on trying to find the “right people” when it came to hiring salesmen. This was only because, without a legitimate training system, it took a very special type of talented person with stick-to-it-ive-ness to be able to survive the ugly and frustrating learning curve that ridealong training created. Think about successful franchises like McDonalds. McDonalds has millions of locations across the world and does billions of dollars in business every year. But do you think this success is because they have highly qualified people with PhDs and masters of the cullinary arts working there? No! They have punk 17 year old kids with purple hair and nose rings working there, and the McDonalds flourishes. Why? Because with a proven and repeatable SYSTEM, it is no longer so important WHO you hire, because anyone can do it if they just follow the system in place. The Recruiting Machine is a repeatable recruiting system that gives you all the tools and scripts to attract, interview, and hire salesmen rapidly and in higher volumes. Stop wasting money on CareerBuilder and Monster and stop attracting goons on CraigsList, and implement a system that works. Get 20-50 applications THIS week with this program. I have already done the heavy lifting and testing for you so you do not have to deal with the trial and error of trying to construct an ad that attracts. My word for word ad produces an average of 20-50 applicants in the first 7-10 days, meaning the slow and sad “1-2 people here and there” trickling in off the shady CraigsList ad is a thing of the past for you and your organization. The ad works because it positions the sales job in a way that doesn’t make it SOUND like a “scary, commission-only, door-to-door sales job,” which is why most people get such a poor response to their ad. My ad speaks to the average person who is an EMPLOYEE somewhere, and a type of person who would not even click an ad that said “now hiring sales reps.” This way you get quality AND quantity people in to hear about the position and go from there. Most of you are making a HUGE mistake during the interview process by accidentally and unknowingly overselling the position. They think that as long as they can get people in with a good ad, all they have to do then is just show everyone how much money they can make and EVERYONE will want to do the job. Right?! …..Wrong. While you’re telling the truth, when you tell people they can make six figures in six months, they think, “Yeah right. That’s too good to be true.” This results in people not showing up to training. Remember, recruiting is not just getting people in the door; it’s about getting them to show up to TRAINING! Once again, I have scripted the interview script for you so that you get the best possible retention from the interview to training. The way we talk about the income opportunity allows the interviewees to connect the dots on their own as you speak, meaning they get excited about it without you TELLING them to. The script also allows you to present things that normally scare people off like commissions and door knocking in a way that doesn’t intimidate them; it just makes sense. In the past, you probably did individual interviews 1-on-1 with your candidates, which took roughly 45-60 minutes per person. While that may have worked for you in the past due to the small number of applicants trickling in, that won’t work for a system like this which will produce much larger volume. If 40 people apply and you like and schedule 30 of those individuals, the old way would mean 30 hours of interviewing that week (yikes). 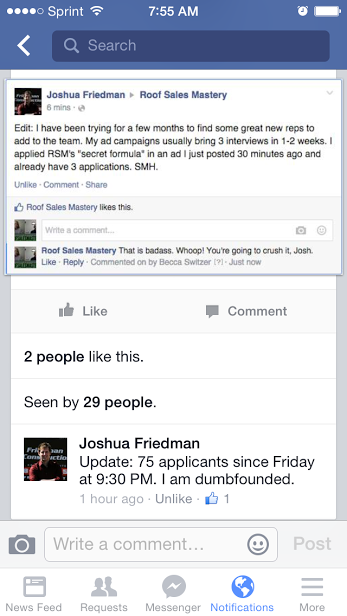 Plus, if you’ve been recruiting for very long, you know that half the time people don’t even show up! So if 15 people didn’t show up and you had scheduled 30 hours for interviewing, you waste 15 hours – not exciting. SO, you will not do individual interviews anymore. I show you how to deliver group interviews (which are not weird or awkward at all, I promise) so you can be time efficient and interview more people. If you schedule 30 people, you might do 3 groups of 10. Then, if only have the people show up, you’re still interviewing 15 people in 3 hours. Let’s say out of that group of 15, you hire 12, 8 show up for training (which you then funnel into the New Hires training to be trained all at once in a batch), and you end up keeping and launching 4 from that group. This is how you effectively interview, train, and launch quality people quickly and efficiently. Much less risk on your part and much less time involved. How long would it take to implement this system? You could be fully prepared to implement both the Recruiting Machine and New Hires Training Program in a matter of days. It is so simple a monkey can do it. Just follow the directions. No memorization needed; just follow the scripts and systems. You've hired people....you've trained them....NOW the hard part starts, which is keeping them around, holding them accountable, keeping them motivated. A very crucial component of having a sales team is often overlooked by managers, which is this: it isn't hire, train, let them loose. It's hire, train, manage, manage, manage, manage. Just like a sports team: you don't have tryouts and then say, "Okay, see you guys at the games!" You practice in between, over and over. Most sales managers don't know much more than to say, "Knock more doors, don't you want to make more money?" as they try to drive sales, ultimately annoying everyone and coming off like a slave-driver. The Sales Team Management Program gives your sales manager legitimate and tangible tools to manage your sales team so you can continue to create sales consistently, create a productive team culture, and avoid slack-off. This program includes how to have word-for-word conversations with each salesman on the team to motivate them and hold them accountable, such as exactly how to break down each person’s personal income goal for the year all the way down to the exact number of doors they commit to knocking each week, so your sales manager has specific activities to hold them accountable to every single week. Not only do we show you exactly how to build and deliver an effective sales meeting that your salesmen will actually get value from (and not pretend to have adjuster meetings to get out of), we give you 17 prewritten sales meetings that are ready to go. If you’re short on time or want some great examples, these templates will give you everything you need to deliver valuable sales meetings that stimulate action and sales every single week. We give you several ideas for incentives, bonuses, and contests throughout the year to help keep sales coming in consistently, even during slower times of the year like winter or when there are only older storm damages to work so you can keep your team pumping no matter the circumstances. I also provide several simple tools and trackers so your sales manager can track and assess activities and results for each of your salesmen. This way you can monitor who’s doing what, what each person’s commitments are compared to their actual activities, and assess their results every week to keep them on track. without feeling like a slave-driver. This program is ultimately a sales manager’s tool kit so you can do your job with actual direction and effective strategies, and not just be another a-hole who cracks the whip and says, “Knock more doors!” every single day. Your newbies have just graduated The New Hires Training and have stepped out of your office and onto the "battle field." They've been well-trained, but they're wet behind the ears and still need solid follow up and review, however they are not ready for heavy-hitting Advanced Sales Training yet because they're still learning to master the basic fundamentals. The Accelerator Course is like an online portal that highlights the most crucial parts of the basics sales skills they JUST learned in the LIVE New Hires Training. This allows them to go back and listen to the sales pitch, the door knocking approaches, and review objection-handling techniques to strengthen their new skills (and not call you every 23 minutes with questions). This gives your newbies access to JUST the lesson review they need as New Hires graduates as to not overwhelm them, including video to hear the sales presentation, review door knocking pitches, hear objection-handling lines, and review discussing depreciation. Live training is terrific and very effective, but your newbies aren’t going to remember everything. Providing the Accelerator online gives them a resource to return to the main parts of the content they just learned to continue to memorize the material and strengthen their newly acquired sales skills. The online “cliff notes” that the Accelerator provides following the live New Hires Training delivers highlights of the same information they just learned, but offers them a new medium to learn and reinforce it with. Through video and text, they can strengthen their understanding of the material they were just taught in a classroom setting. 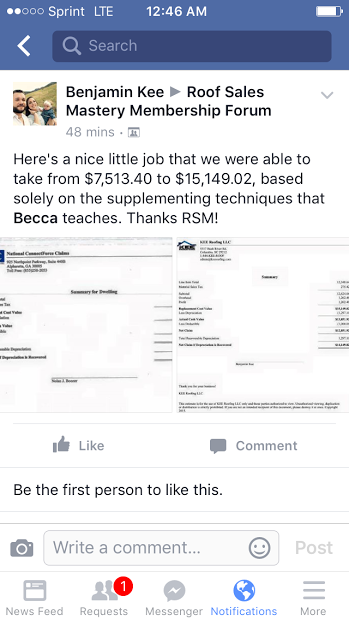 Here’s what’s really exciting: $9999 is still a chunk of change, but that is literally just 3 or 4 supplements. That means that if the first thing you do is take 3 or 4 claims you currently have in your pipeline and follow my supplement methods with them, The Advanced Sales & Supplement Program ALONE will pay you you back in 30 days or less for the full investment, and from there on out it’s all gravy. Let’s do it!